Notes: Buxworth station was located on the Midland Railway (MR) main line route that ran between Manchester Central and Ambergate. The MR had opened a line in stages between Ambergate and Buxton by the 1st June 1863. However the company’s real goal was to get to Manchester. The original idea had been for the line to continue westwards from Buxton but opposition from the London North Western Railway (LNWR) and geological factors forced the MR to think again. the proposed route for the line which had been surveyed by company engineers. Whilst driving down a narrow lane they came across a cart which was carrying the Director and two officers of the Manchester Sheffield and Lincolnshire Railway (MSLR). The two groups got to talking and discovered that each was looking at the same route for a railway. Rather than waste time and energy competing against each other the group retired to a hostelry for food and drink. They spent the rest of the day together and reached an accord. In 1862 an act was passed giving the MR authority to build a line from Blackwell Mill to a point just over three miles to the west of Chinley where an end on connection with the MSLR line at New Mills was made. The act was called the ‘Rowsley and Buxton Extension Line’. The line opened to good traffic on 1st October 1866. 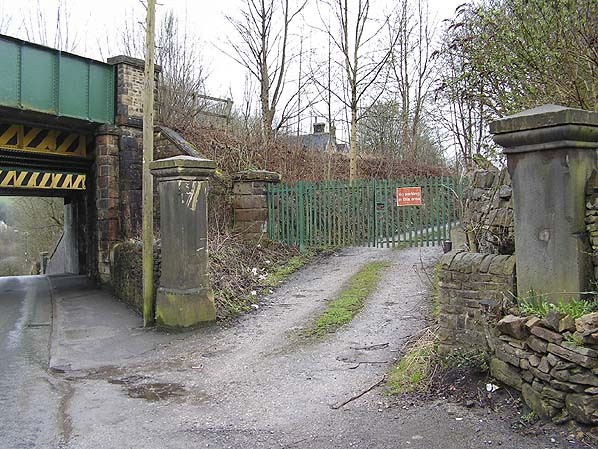 Passenger services were to have commenced on 1st November, but a landslip at Bugsworth resulted in its closure while a new deviation was constructed. 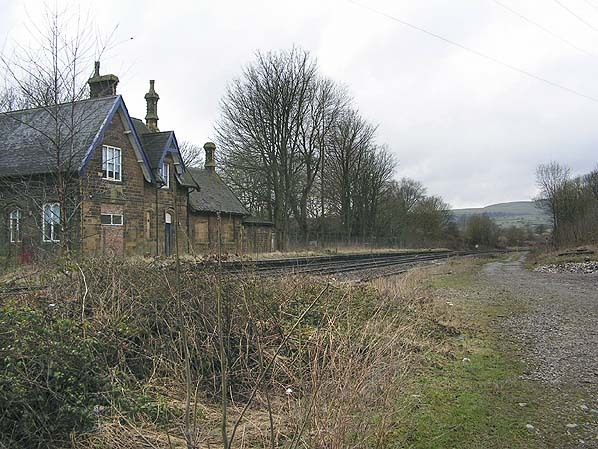 This deviation actually took the line (which re-opened for goods traffic on 24th January 1867 and to passenger traffic on 1st February) on the opposite side of Bugsworth station (as it was originally known), so what had been intended as the entrance side became the platform side, and vice versa. At the time of opening the line through Bugsworth was twin track, the station being provided with two platforms. The main station building was located on the south side of the line on the down platform. It was a two storey stone building of a similar style to the original station at Chinley. The up platform had a small timber waiting shelter. 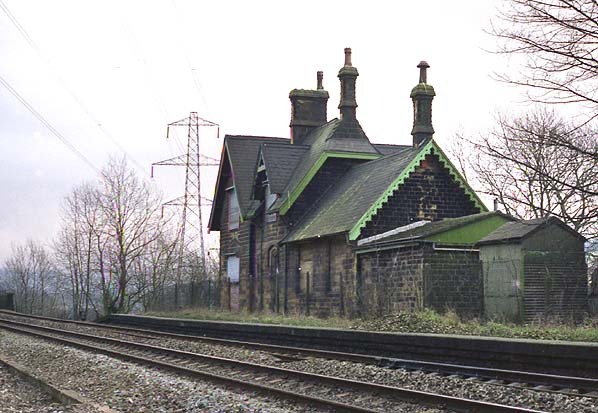 Bugsworth station was provided as a local station and as such it was served by local stopping trains running between Buxton and Manchester and on shorter workings. In 1894 the MR opened a direct line from Sheffield to Chinley which lay to the east of Bugsworth station. This added a lot of extra traffic to the section of line through Bugsworth station. The station never had goods facilities. received an act to do this in 1900. The 261 yards Bugsworth Tunnel, a short distance west of the station was removed as part of the widening. The platform arrangement at Bugsworth remained unchanged with no platfrorms provided on the new lines. 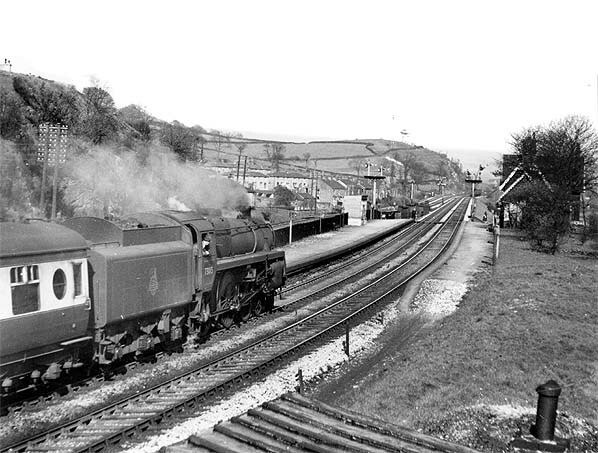 a very busy main line it was closed by British Railways on the 15th September 1958. The line through Buxworth is still open and the station building and the down (Manchester direction) platform have survived to the present day. 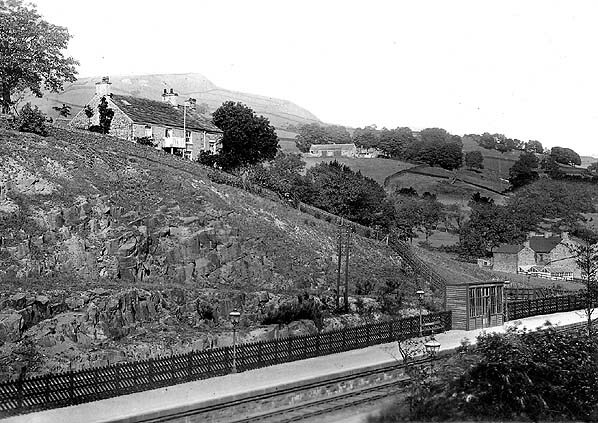 Buxworth station up platform in early 20th century before the line was quadrupled, the additional tracks were added on the far side of the up platform. Note the simple timber waiting shelter. 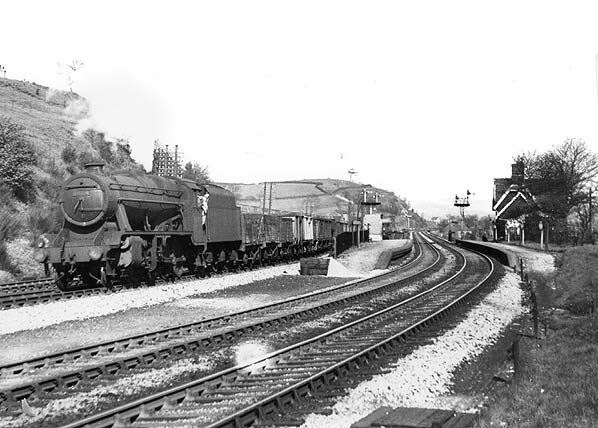 Down freight train bypassing the passenger platforms at Buxworth in May 1953. 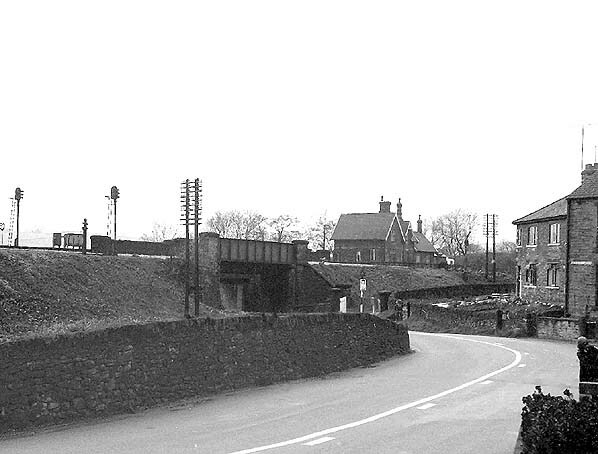 Looking west along Station Road towards Buxworth station in May 1965. The station building can clearly be seen up on the railway embankment towards the right of the picture. 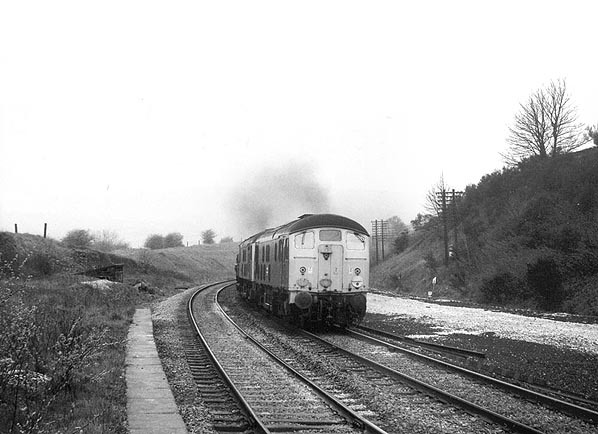 2 Class 24s hauling a lime train east through Buxworth in April 1975 shortly after 2 tracks were lifted. Buxworth station looking towards the east in 1990.